Alex Tivane was angry. The Mozambican tourism professional opened the Paint application on his computer and erased an element from his national flag. That element was an AK-47. "I painted the best approximation of the background colour over the gun," Tivane, who has been using the revised image as his profile picture on Facebook ever since 2013, recollects. 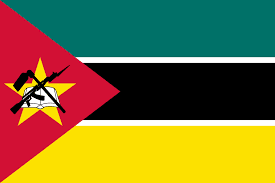 According to vexillologists, Mozambique does not have a flag code (a law that lays down a description and specifications of the flag). It is the only country in the world that showcases a modern firearm on its flag. The other elements on the tricoloured flag include a hoe representing agriculture, with it crossed against the firearm and superimposed on an open book symbolizing education, and all three overlaid on a star, which stands for international solidarity. Flag expert Bruce Berry at the Southern African Vexillological Association (SAVA) specifies that 4 per cent of national flags depicted weapons on their flags in 1999, according to the paper 'VEXISTATS: A Statistical Overview of the Colours, Symbols and Designs of National Flags in the 20th Century' that he presented at the XVIII International Congress of Vexillology. However, he adds that all the weapons on flags except AK-47 (which has been in use since 1949) are antiquated; for example, a spear on Kenya's flag, dagger and sword on Oman's flag, and arrows on the US Virgin Islands' flag. "Mozambique's flag is the only one to feature a modern automatic weapon," Berry says. The AK-47 on Mozambique's flag is symbolic of the war for its independence, which was finally granted in 1975, in which the Russian firearm was used. However, the gun on the flag does not just remain as a souvenir of the past; it is very much relevant to present-day Mozambique. Two years after the country became free from Portuguese rule, a civil war between FRELIMO (Mozambique Liberation Front) and RENAMO (Mozambican National Resistance) broke out, which lasted for more than 15 years. Aly Sattar remembers a specific day during the civil war as if it was yesterday: 14 February 1991. It was the day he lost most of his family to the bullets from AK-47 -- his father, infant sister and toddler brother. They were travelling in a convoy to neighbouring Malawi to escape the war. The incident, however, did not turn Sattar against the weapon that killed his loved ones. He says, "The AK-47 is a sign of victory from the Portuguese colonizers, it can or will not be removed from the flag." While the civil war has officially ended, FRELIMO, which is the ruling party, and RENAMO, which is the opposition party, continue to fight for power -- harming many civilians like Tivane. His work entails promoting tourism in Mozambique. When the unrest escalated in 2013, Tivane says, tourism in the country was severely affected. As a consequence, Tivane's clients -- hotels, lodges and resorts -- mothballed their properties, closed down or stopped paying him. He wants peace in his country for his business and the tourism industry to resuscitate. "We can't have peace if we revere arms," Tivane says referring to the AK-47 on his national flag. incorporate the following themes in the design: the blood shed in the struggle for independence, national unity, peace, democracy and social justice, and the country's wealth. A jury was appointed, 169 entries were received and a winner was chosen. The winning entry, among other changes, replaced the AK-47 with a red ball to represent the bloodshed. Jose Forjaz, architect and graphic designer, who designed it, says, "We were given a theme that fixed the motives to be represented in the flag: the blood of our heroes, the riches of the land, the sea and peace. I interpreted those elements designing the black profile of Mozambique's coastline, the green of the land and forests, the blue for the sea, the red ball for the blood of the heroes, the golden stripe for our mineral richness and the white stripe for peace. This was too abstract for our members of parliament … even if the jury declared it the best submission. I felt that I could contribute to a progressive image of the country." The parliament with FRELIMO in majority did not give its approval. The contest could not change the flag of Mozambique, but it could have subconsciously influenced Tivane to make the change, at least on his computer. He has put up the flag that he designed (sans the AK-47) as icon of the 'Travel Safe in Mozambique' page on his portal.